Management of distress during climacteric years by homeopathic therapy. Central Council for Research in Homoeopathy (CCRH) , New Delhi, India . Objectives: The purpose of this study was to ascertain the usefulness of homeopathic therapy in the management of distressing symptoms encountered during climacteric years in women (primary objective) and also the changes brought about in the levels of follicle-stimulating hormone (FSH) and lipid profile in these women after homeopathic treatment (secondary objective). Materials and methods: An open, multicenter, prospective, observational study was carried out to ascertain the usefulness of homeopathic treatment in distress during climacteric years (DDCY). Patients were enrolled from the general outpatient department of the six Institutes/Units of Central Council for Research in Homoeopathy (CCRH) and were required to complete a follow-up period of 1 year as per the protocol designed by the CCRH. A uniform questionnaire assessing 15 predefined symptoms of menopause was adopted, with assessment of each symptom at every visit. Levels of serum FSH and lipid profile were monitored at entry and at completion. Effect size of the study was also calculated. CARA Software was used for repertorization of the presenting symptoms of menopause along with the characteristic attributes of each patient to arrive at a simillimum. The selected medicine was prescribed in a single dose as per the homeopathic principles. The assessment of the results was made through statistical analysis using the Wilcoxon signed rank test on Statistical Package for Social Sciences (SPSS) comparing symptom score at entry and completion of 1 year of treatment and t test for analyzing improvement in laboratory findings. Results: Homeopathic therapy was found to be useful in relieving menopausal distressing symptoms such as hot flashes, night sweats, anxiety, palpitation, depression, insomnia, and so on. Influence on serum levels of FSH, high-density lipoprotein, and low-density lipoprotein was not significant but serum levels of cholesterol, triglycerides, and very-low-density lipoprotein decreased significantly. Effect size of the study was found to be large. The medicines found to be most frequently indicated and useful were Sepia, Lachesis, Calcarea carb., Lycopodium, and Sulphur. Conclusions: This study proves the usefulness of homeopathic medicines in relieving DDCY. Treating hot flushes in menopausal women with homeopathic treatment--results of an observational study. OBJECTIVE: There is great controversy concerning treatment for menopausal symptoms. We evaluated homeopathic treatments for hot flushes and their effect on quality of life in menopausal women. METHODS: Open, multi-national prospective, pragmatic and non-comparative observational study of homeopathic treatments prescribed and their effectiveness, observing their impact on quality of life. RESULTS: Ninety-nine physicians in 8 countries took part in this study and included 438 patients with an average age of 55. 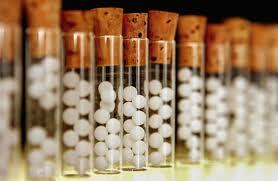 Homeopathic medicines were prescribed to all patients; 98% of the prescription lines were for homeopathic medicines. Lachesis mutus, Belladonna, Sepia officinalis, Sulphur and Sanguinaria canadensis were the most prescribed. A non-homeopathic treatment and/or food supplement prescribed for 5% of the patients. This observational study revealed a significant reduction (p<0.001) in the frequency of hot flushes by day and night and a significant reduction in the daily discomfort they caused (mean fall of 3.6 and 3.8 points respectively, on a 10cm visual analogue scale; p<0.001). Ninety percent of the women reported disappearance or lessening of their symptoms, these changes mostly taking place within 15 days of starting homeopathic treatment. CONCLUSIONS: The results of this observational study suggest that homeopathic treatment for hot flushes in menopausal women is effective. Further studies including randomized controlled trials should be conducted.